It has been three months already since R3 Marketing and Builders Supply has opened its business here in Cagayan de Oro City. And in the months that it has started its operation on marketing and selling retail hardware supplies, R3 Marketing has already expanded its business outside Cagayan de Oro City; catering to cities and municipalities such as Tagoloan, Villanueva, El Salvador and Laguindingan. 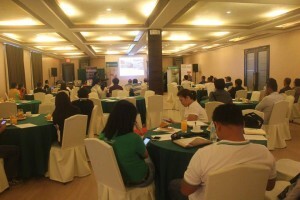 As part of R3 Marketing’s further expansion, they have reached out to the contractors, builders, local developers, engineers and architects of this city by conducting their very first Aggregation Event last 23rd of July at Mallberry Suites; an event exclusively for the aforementioned individuals. 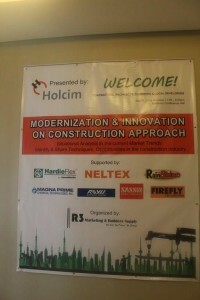 Its theme focuses on the “MODERNIZATION & INNOVATION ON CONSTRUCTION APPROACH”. 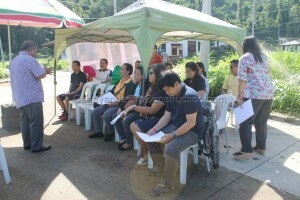 This event is a collaboration with R3 Marketing’s sister company – HomeChoice Planners and Construction Corporation. Presented by Holcim Philippines, the leading cement manufacturer in the country; also supported by the leading brands in construction industry such as James Hardie Philippines makers of HardieFlex fiber cement boards, Neltex, Magna Prime, Firefly Electric & Lightning Company (FELCO), marketing and sale of various lighting and electrical products in the country, and Asian Coatings manufacturer of Rain or Shine and Welcoat; where in the event, they have highlighted their products, features and benefits to the targeted delegates. R3 Marketing maybe a newbie in the industry but their baby steps have taken them to being the progressive company they are right now. The company shows commitment to their clients by rendering excellent customer service, providing quality products, and timely delivery with their efficient and competent teams. And to better serve their clients, R3 Marketing supports its staffs through continuous trainings and customer service enhancement. To R3 Marketing and Builders Supply, kudos! Last Saturday’s event was indeed a successful one. And we’re definitely looking forward to your company’s future events. Until then! ISO is an independent membership organization and the world’s largest developer of voluntary international standards. ISO 9001 is managed by the International Organization for Standardization in Geneva, Switzerland. It is known and commonly used standard for quality management system. 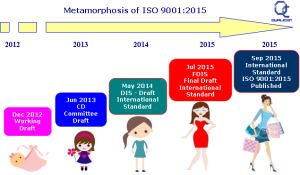 A new version of ISO 9001 appears about every seven years. The first standard was issued in 1987 and at that time you had to describe in detail what your business did. In the 1994 version, it was all about “say what you do and do what you say”. The 2000 version was focused on processes in order to continually improve and thereby increase customer satisfaction. There was nothing added in 2008 but it was more precise about the interpretation of the standard. And then on the 23rd of September 2015, ISO 9001:2015 was published. With the new edition of ISO 9001, the question is what are its differences from the predecessor? For one, ISO 9001:2015 has ten clauses instead of eight. The first three clauses in ISO 9001:2015 are largely the same as those in ISO 9001:2008, but there are considerable differences from the fourth clause onwards. The last seven clauses are now arranged according to the Plan-Do-Check-Act cycle. Clauses 4, 5, 6 and 7 of ISO 9001:2015 come under Plan, clause 8 comes under Do, clause 9 comes under check and clause 10 is covered by Act. With this new procedure, the new ISO 9001 edition strives to give additional momentum to the continuous and systematic improvement of processes within organizations. ISO 9001:2015 has a high level structure as all standardized management systems. It puts more focus on input and output; measuring and properly assessing the input and output of processes. Risk based thinking is at the core of ISO 9001:2015; encouraging organization to use risk analysis for better management of business processes. Context of the organization is also important for ISO 9001:2015. It now requires an organization to construct its quality management system from the specific context within which it is active. There is extended engagement of interested parties such as the suppliers, personnel, shareholders, legislative bodies, society etc. unlike in the ISO 9001:2008 which was only focused with the customers. Also, there is more emphasis on leadership and management commitment; requiring greater involvement by top managers and business leaders in controlling the quality management system. In ISO 9001:2015, obligatory documented procedures or quality manual is no longer required. It is now referred to as “documented information”; there is no longer any mention of “records” neither, but of “retaining documented information”. There’s also a change of terminologies used in ISO 9001:2015. Knowing the differences between ISO 9001:2008 and ISO 9001:2015, the question now is, how can companies transition from ISO 9001:2008 to ISO 9001:2015? There are recommended steps to follow in complying with ISO 9001:2015. Assuming a company is already ISO 9001 certified; first, the organization needs to perform baseline measurement; make a complete overview of the quality management status. Secondly, draw up a plan based on the baseline measurement. Then implement changes in accordance with the plan of approach. Fourth step will be the auditing and process analysis. It is to measure whether the changes have had the desired effect. Then have your organization certified according to ISO 9001:2015. Lastly, communicate with interested parties; show your certificate and results with pride. Let them see how well your company or organization manages its processes and continuously improves them. ISO 9001 is the world’s most popular and most commonly used standard for quality management system. To keep it current and relevant for the marketplace, its revision was published late last year – ISO 9001:2015. All ISO standards are reviewed every five years to establish if a revision is required to keep it up-to-date and on trend. Thus, the revised version is designed to respond to the latest trends and be compatible with other management systems. The ISO 9001:2015 revision had undergone different stages before it was officially published last year. It was proposed on May and June 2012 then had its preparation from June to October of the same year. It was forwarded to the committee stage and the process started from June to October of 2013. On the year 2014, it was processed in the enquiry stage from May to October. Then it was approved on July 2015 and finally published on September 2015. This new version of ISO 9001 follows a higher level structure to make it easier to use in conjunction with other management system standards, with increase importance given to risk. It is less prescriptive than its predecessor, focusing instead on performance. This was achieved by combining the process approach with risk-based thinking, and employing the Plan-Do-Check-Act cycle at all levels in the organization. Before releasing the new edition of ISO 9001, it underwent through many processes because the organization wanted to publish more concrete and polished version of ISO 9001; conforming to the latest trends and modern needs. The ISO 9001:2015 replaces previous editions and certification bodies and organizations are granted a three-year transition period to migrate their certificates to the new version. It’s a first for HPCC as the company ventures in a new project at Westwoods Village. The said subdivision is one of Pueblo de Oro’s recent developments and HPCC is privileged to be having a project built in the said place. This certain project is a breakthrough project for HPCC as this will be it’s very first construction at Westwood Village; thanks to the family for giving HPCC the opportunity to build their dream house. This breakthrough project at Westwoods Village will be a modern designed two – storey residential building; designed according to the client’s desire. The house is designed with spacious living room, dining room, balcony and four bedrooms; the master’s bedroom having its own walk-in closet and bathroom. Following the subdivision’s standard and restrictions, the house may have adapted most of the subdivision’s houses look but it has its own unique touch. 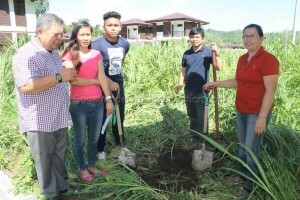 To celebrate the partnership of HPCC and client in constructing the house, a groundbreaking and lot dedication service was conducted last 2nd of July at the project’s site. The service was led by CDO First Assembly of God church; and it was attended by the family and relatives of the client and some staff of HPCC. Both parties are anticipating the start of this project’s full swing construction and eager also to see its completion. This will soon be included in HPCC’s roster of projects and it’ll be first in the company’s portfolio of Westwoods Village projects. Surely this project will not be the first and last but just the first of the many projects that will come. Updates and developments will be posted at the start of its construction. Until then!